The Civic Center of Denver, this location houses the arts, the state capitol, and the city offices. 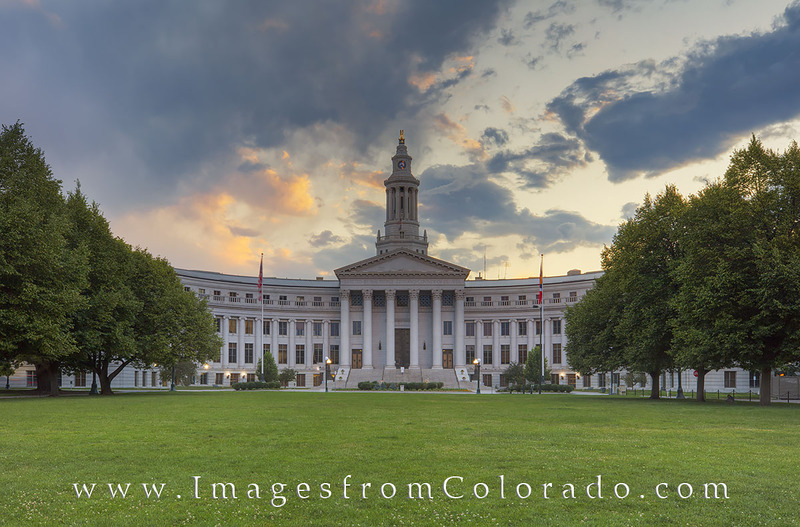 The City and County Building of Denver (seen here) sits opposite of the Colorado State Capitol near downtown Denver and opens to an expansive and beautiful lawn that is perfect for enjoying Denver evenings. Photo © copyright by Rob Greebon.